Although WebM has been widely-used for the past few years, you still receive error messages like “Format of this file is not supported” or “Invalid file format” due the reasons listed below. Mainly a product of Google, sometimes shows errors with other browsers such as Firefox, IE. To solve it, you need to search a workable video converter either online or offline to convert WebM to MOV format. FYI, we present to you extremely versatile software which can help you to convert an existing video file of an unsupported format to any desired format so that it can easily be played on any device. Experts always recommend using desktop version of converter software because it is the most reliable one and leads to lossless output. 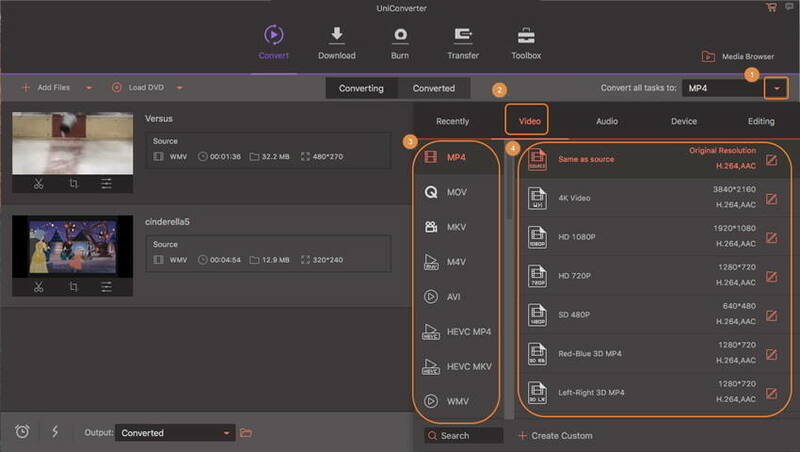 One of the most suitable software tools is well known as Wondershare UniConverter (originally Wondershare Video Converter Ultimate) that can be used by professionals as well as beginners with its easy to use interface. Below are few incredible features of Wondershare converter tool. Step 1 First of all you have to download Wondershare UniConverter (originally Wondershare Video Converter Ultimate) to your PC via the download button above. 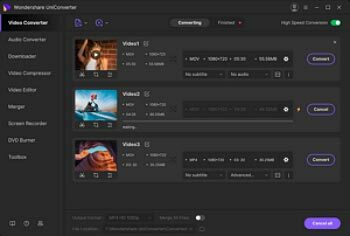 Step 2 Now it is time to import your webm file that you wish to convert into mov file format: it can be added to software interface by using add video option directly or directly use drag and drop feature to make this process much easier. Note: If you wish to create customized videos then wondershare also gives opportunity to edit files before final conversion: just click the editing icons under the just added video thumbnail. Step 3 Click the icon from the Target box and choose MOV as output format just as the picture shows. Step 4 Hit the Convert option to initiate fast conversion from WebM to MOV file extension. Hit the web and visit https://convertio.co/mov-converter/. This is the best online tool which you can select, allowing conversion from WebM to MOV and much more. In the next step you need to upload your video file under the upload option which can be viewed on the website. This will not take more than a few seconds. Just select the Convert option. Here you need to select the output format as MOV to convert your file to the said format. The converter finishes its work within a few seconds. When the conversion completes, you will be able to easily download the converted file on your device at your desired location. Before you select a converter tool for your personal usage it is more important to gather some basic information about all available converter tools so that you can pick the best one for your needs.